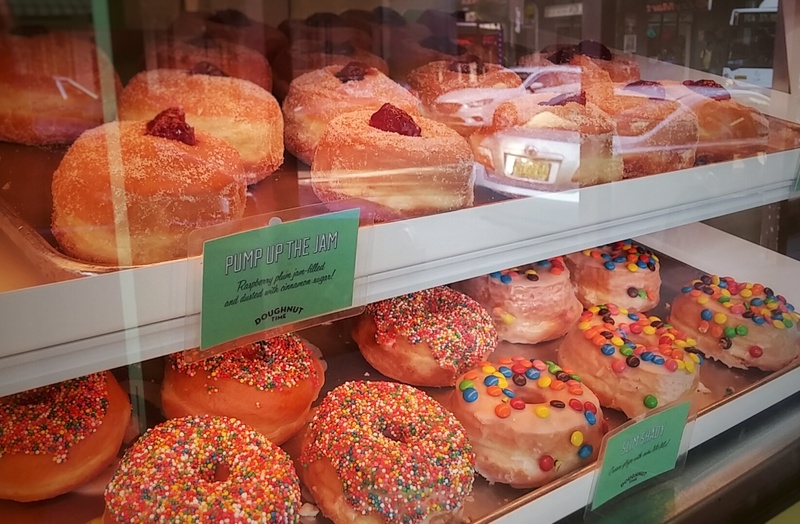 Homer Simpson’s favourite food seems to have recently had a resurgence in the pastry market, as we’re seeing doughnuts everywhere now – doughnut-hybrids in the forms of cronuts, doughnuts-atop-milkshakes, even doughnut ice cream cones. But nothing tops a traditional doughnut – and what better than hand-made, hand-dipped, small batch creations with endless flavours? Why, it must be Doughnut Time! Plate + Plane recently visited the newly opened Glebe Doughnut Time shack, a cute little delightfully retro storefront on Glebe Point Road. During the day, you wouldn’t be blamed if you walked passed and missed it, but at night, the bright neon sign will definitely make sure you see the little hole-in-the wall. Pretty much the entire shopfront is the display, filled with rows of doughnuts. There’s about ten flavours in total, spanning from the usual original glazed, salted caramel, jam and cream, all the way through to the unique and odd (such as maple bacon, hibiscus, and nerds). They even have delightfully fun names like Love at First Bite (Nutella-filled and amazing. Hnnng.) and Veruca Salt (salted caramel, of course.) There’s even gluten-free (The Mugatu, because fah-shon) and vegan options (Vegan-Fox) available. 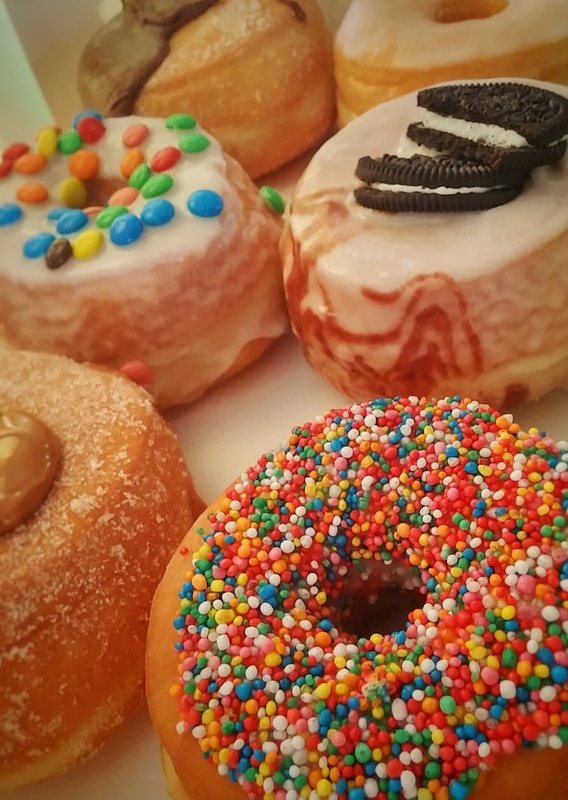 Every Saturday, the crazy kids at Doughnut Time put their thinking caps on and bring out a new doughnut and milkshake flavour, and completely rotate the menu – so there’s always something new to try! A word of warning: they’re very, very solid doughnuts. 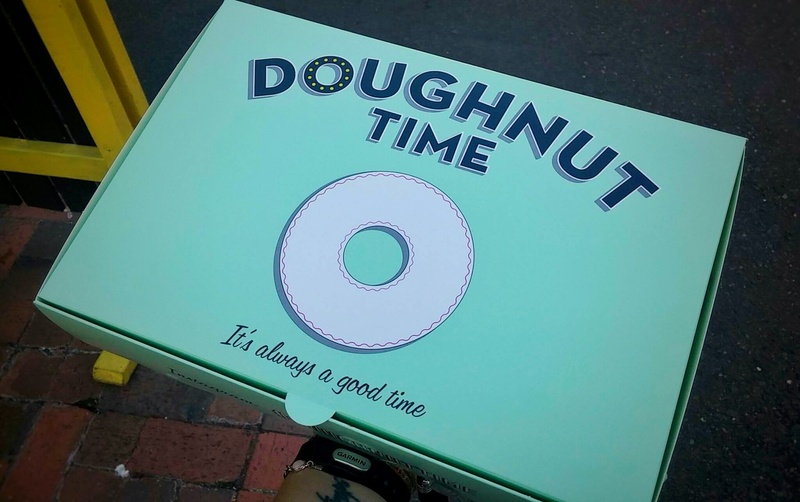 Make sure you have enough room in your tummy to eat them, because they taste absolutely amazing fresh – not too greasy, but not dry, but still that melt-in-your-mouth goodness that we love when it comes to great doughnuts. 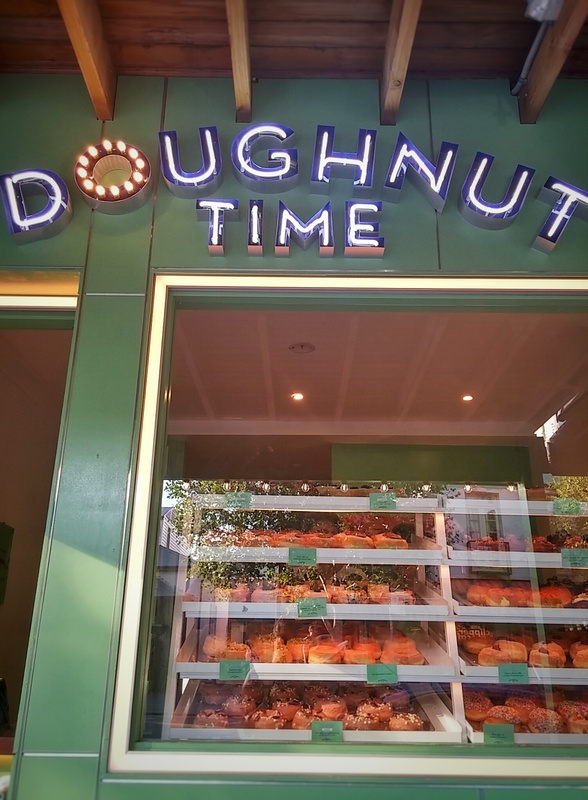 The Glebe shop isn’t the only Doughnut Time – there’s more locations across Sydney, Melbourne, Gold Coast, and Brisbane. Even better? You can order online and get doughnuts delivered via Sherpa. Oh. Em. Gee. For more info, check them out online now and drool over their Instagram feed.